Why do we apply holy ash ? Bhasma is generally applied on the forehead. Some apply it on certian parts of the body, like the upper arms, chest etc. Some ascetics rub it all over the body. Many consume a pinch of it each time they receive it. The word Bhasma means "that by which our sins are destroyed and the Lord is remembered". Bha implies bhartsanam ("to destroy") and sma implies smaranam ("to remember"). The application of Bhasmatherefore signifies destruction of the evil and remembrance of the divine. Bhasma is called vibhuti (which means "glory") as it gives glory to one who applies and raksha (which means a source of protection) as it protects the wearer from ill health and evil, by purifying him or her. Homa (offering of oblations into the fire with sacred mantras) signifies the offering or surrender of the ego and egocentric desires into the flame of knowledge or a noble and selfless cause. The consequent ash signifies the purity of the mind which results from such actions. Also the fire of knowledge burns the oblation and wood signifying ignorance and inertia respectively. 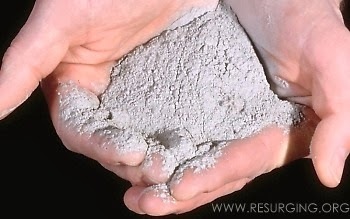 The ash we apply indicates that we should burn false identification with body and become free of the limitations of birth and death. The application of ash also reminds us that body is perishable and shallone day be reduced to ashes. We should therefore not get too attached to it. Death can come at any moment and this awareness must increase our drive to make the best use of time. This is not to be misconstructed as a morose reminder of death but as a powerful pointer towards the fact that time and tide wait for none. Ash is whta remains when all the wood is burnt away and it does not decay. Similarly, the Lord is the imperishable Truth that remains when the entire creation if innumerable names and forms is dissolved. Bhasma has medicinal value and is used in many ayurvedic medicines. It absorbs excess moisture from the body and prevents colds and headches. 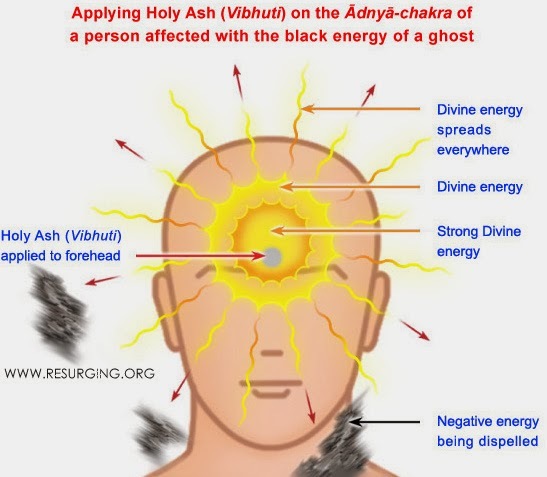 The Upanishads say that the famous Mrityunjaya mantra should be chanted while applying ash on the forehead.